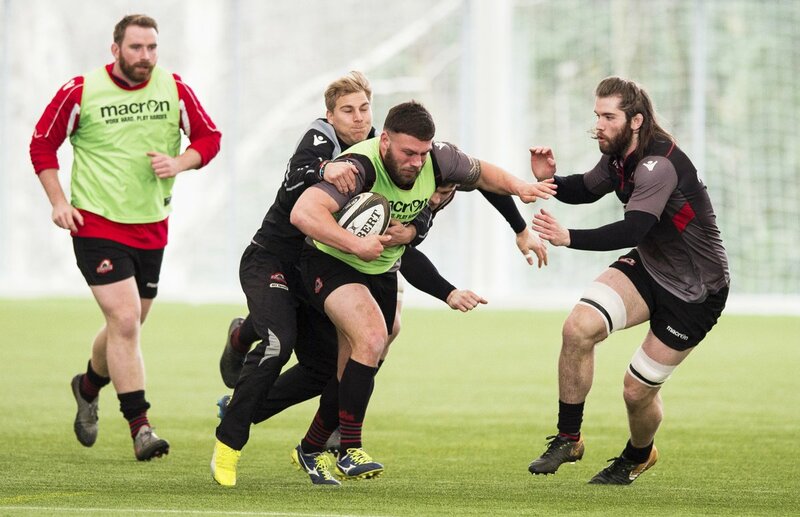 The Edinburgh Rugby squad have been training regularly at Oriam since the start of the season. We were interested to hear from the players and coaches about their thoughts on the facilities here and what impact this has had on their season. The Edinburgh side defeated their Glasgow rivals in the 1872 Cup decider at BT Murrayfield on Saturday 28th April. This result not only saw them lift the keenly contested 1872 Cup but also secured a quater final spot in the Guiness Pro14 and a place in next season’s European Champions Cup for the first time since the European Challeneg Cup was introduced back on 2014. We can’t wait to welcome the Edinburgh rugby squad back to Oriam next season and look forward to supporting the team in what hopes to be their best season yet! 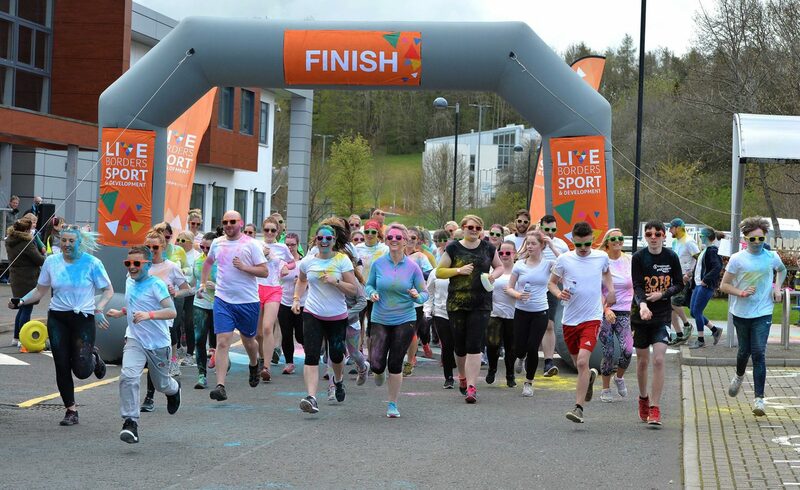 We recently worked in Partnership with Live Borders to deliver the Colour Run at the Heriot Watt Uni Borders campus. It was a great success with over 80 people taking part in spite of us having to reschedule the event twice due to extreme weather conditions. All funds raised will be split between Live Borders, to further the great work they do to keep the Borders area active and SANE, a charity committed to improving the life of those affected my mental illness. We look forward to working with our friends again especially in such a fun and colourful way! 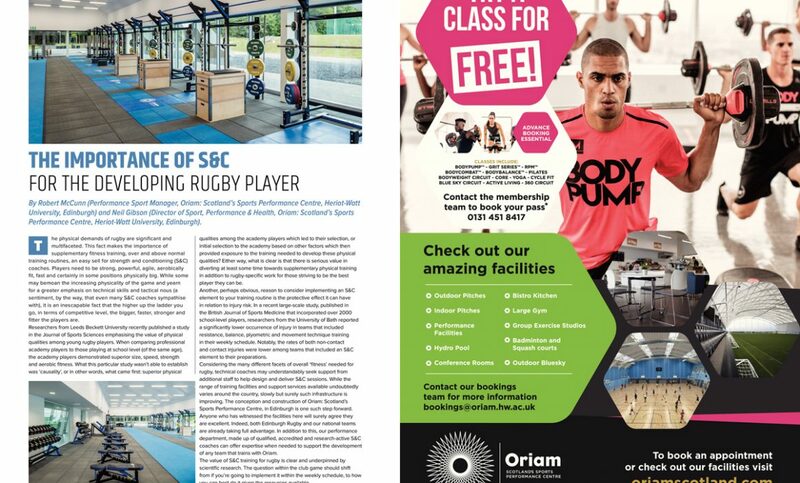 We recently featured in SCRUM magazine. 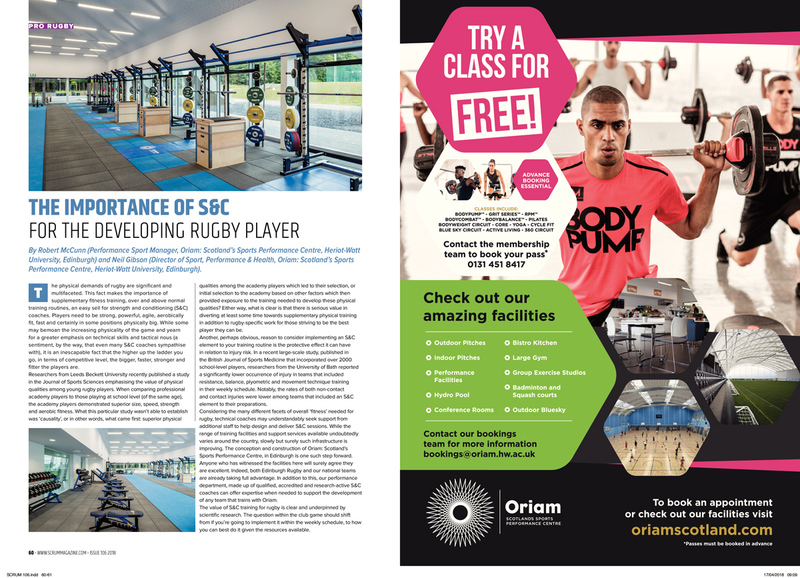 Our Director of Performance, Sport and Health and our Performance Sport Manager wrote an article about the importance of S&C for the developing rugby player. Check out the article above or click here to find out more about SCRUM.